Does Buddy Punch split shifts at midnight or split shifts by day for overtime? Setting can be enabled to stop a shift at midnight and start it again, automatically. 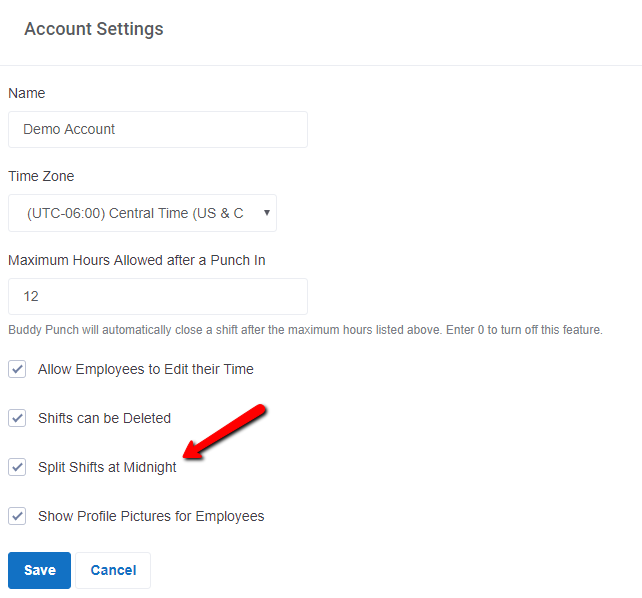 Yes, this is a setting you can access by logging in as an admin and visiting Settings --> Account Settings. Make sure to check the box that says "Split Shifts at Midnight." Shifts will be split once midnight hits. This is useful if you have overnight employees and need overtime to be calculated based on the calendar week vs. the shift.